Relationships, particularly long-term ones, are a lot of things: difficult, complicated, illuminating, fulfilling, heartbreaking and joyful. After being married for nearly a decade, I would know. Three years ago, my husband and I went through the hardest year of our marriage. My mother died, my teenage brother moved in with us and both of us realized our center would not hold. One of the major revelations I had during our struggles was that I’d spent much of our relationship trying to make my husband happy. Not by doting, necessarily, or performing large acts of love, but in subtler ways. When he was sad, I felt responsible to turn his mood around. If he wasn’t having a good day, I felt like it was my job to make his life better. But the truth was it wasn’t working. Because it wasn’t my job. Will Smith recently went viral for sharing a similar philosophy from his wife, Jada Pinkett Smith, about relationships. This is what I discovered with my husband, and I wondered if other couples had experienced something similar. 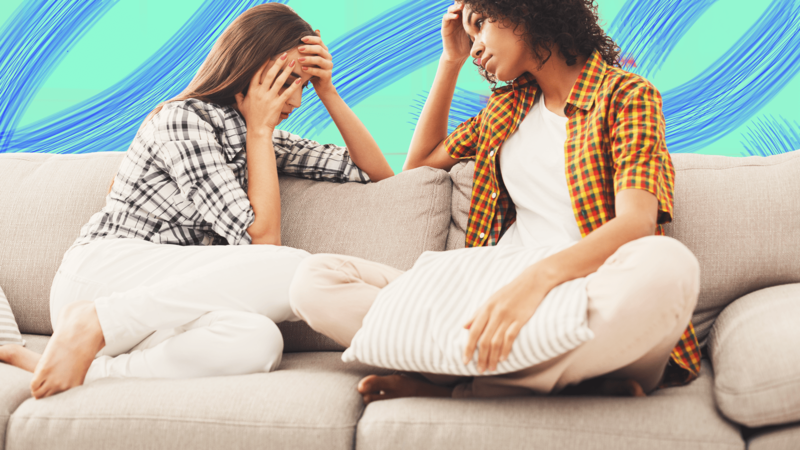 So I spoke with two relationship therapists, and it turns out that, yes, trying to make your partner happy leads to all kinds of unintended consequences. Not to mention it can make your spouse hesitant to express their true emotions. “You’re saying to them indirectly that other [unhappy] emotions are not OK,” Balestrieri explains. They might feel a need to perform happiness for you or shut down any less-than-positive feelings. In my relationship, it led to my husband’s reluctance to share his thoughts with me because I would try to “fix” whatever his issue was. What I needed to do was trust him to handle his own feelings and acknowledge that struggles were part of the human experience. This pattern often shows up in small ways, Balestrieri admits. She gave an example of binge-watching a TV show because that’s what you think will make your partner happy or love you more when you’d really like to be doing something else. Balestrieri says the first step to change your behavior is to slow down and start asking yourself, “What are my needs?” Individuals who tend to be people-pleasers often aren’t skilled at identifying their own needs and so focus on their partner’s instead. She recommends the Center for Nonviolent Communication’s list of needs in order to gain language to express yourself. Although expressing your own needs — and letting go of your attempts to control your partner’s moods — might be scary at first, it won’t necessarily lead to an argument. Balestrieri says that by saying no when you mean it, you’re teaching your partner that your yes is truly enthusiastic too rather than one made of obligation. That kind of guidance can be helpful for your partner. But that doesn’t mean it’s all smooth sailing. This change gives both partners a chance to look at their own behavior, which can be scary, and sometimes one partner can feel like they’re being left behind. “It’s a mutual growth opportunity, but it doesn’t always happen at the same time,” Bahar says. Be patient and keep communicating your concerns, check in with your needs and pay attention to your behaviors, even if it takes a while for your partner to be totally on board. And know that you won’t be perfect. “It’s OK to be messy when you’re learning new behavior,” Balestrieri says. That’s not an excuse to be a jerk — it’s just reality. When you inevitably screw up, investigate what happened and talk to your partner about both of your experiences so you can learn and grow from it. I know that was true for my husband and me. It was hard, but learning that I couldn’t make my spouse happy — and that I had to focus on my own well-being instead — was worth it. We’re both happier for it.